Here’s the first look at renderings of the proposed gondola that could take fans from Union Station straight to Dodger Stadium. Learn more about how to submit an application to build a #PeopleSt plaza in your neighborhood – join us at a public info seminar near you! Plaza applications will be accepted April 2-May 31. Both meetings will consist of an overview presentation, followed by an open house featuring stations covering each geographic area. Drop in any time during the open house to learn about the plan and provide feedback. For over 40 years, our sidewalks, crosswalks, and bus stops have gone mostly unimproved in the City of Los Angeles. The Tripping Point goal is to highlight the importance of these public amenities on our quality of life. Come join the movement to support an even better Los Angeles with safe, accessible, and dignified travel options for all. This past June we hosted a free Advocacy Summit to organize residents and build a constituency that can effectively advocate for fixing sidewalks, crosswalks, bus stops, and planting more trees in our communities. We hosted over 150 residents from across the City in Boyle Heights (recap here), and this month we’re taking this organizing effort to the Valley in Panorama City on Saturday October 21. Food, childcare, and English/Spanish translation will be provided all at no cost. Please register so we know how many people to expect. And help us spread the word to your neighbors, friends, and family. No experience necessary – come learn with us! Register today! Come join your neighbors, elected officials, and department staff and learn how to improve your neighborhood! With an incredible lineup of workshops and trainings, you’ll gain new skills, strategies, and insights that will help you champion positive change in your community. LA has a once-in-a-lifetime opportunity to align billions of dollars, and leverage transportation funds like Measure M, SB1 and Willits Settlement funds, to prioritize and address these concerns. Learn how to make change, who to ask for what, and when to make your voice heard to improve your neighborhood for all. Thanks to all our partners working to make this happen: Los Angeles Walks, LURN, Southern California Resource Services for Independent Living, Koreatown Youth Community Center, AARP, American Heart Association, EmpowerLA, Outfront/JCDecaux, Kaiser Permanente, First 5 LA, and Transit Center! The board is scheduled to vote on June 23rd on the plan and placing the tax measure on the ballot. If approved by voters, the sales tax increase would provide an estimated $120 billion over the next 50 years to fund transportation infrastructure improvements throughout the county. Metro released the details of a proposed measure for the November 2016 ballot that aims to raise as much as $120 billion for new highway and transit projects in LA County. The spending plan includes improvements to existing infrastructure and programs to facilitate active transportation, including bicycling and walking paths to be built over the next four decades. According to Metro, the potential ballot measure would ask voters to increase the countywide sales tax by a half-cent for 40 years and to continue an existing tax (Measure R) for an extra 18 years, meaning both would potentially run through 2057. “The San Fernando Valley has waited far too long for its fair share of transportation investment, and now we are on track to getting it,” said Krekorian. “Metro’s staff proposal shows that the past two years of hard work by Valley leaders, community advocates and business groups in preparation for a new transit ballot measure is paying off. Because we have always insisted that any measure must include the Valley’s top transit priorities, all of these projects are on the list to get funded and built quickly. This proposal gives the Valley a golden opportunity to transform its transportation network and relieve congestion, and we should seize it. 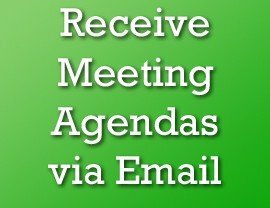 Metro invites the public to give input on the proposal by emailing [email protected]. For more information and to read the full plan, visit theplan.metro.net. The 2nd Valley Transportation Summit is being held at CSUN on March 3rd will be an opportunity to continue the dialogue concerning transportation-related challenges and opportunities facing the San Fernando Valley. Please note the RSVP deadline of February 26th. You may RSVP online via Eventbrite, linked here. More than 200 people die on LA streets each year, and most of those deaths happen on just six percent of streets. Sitting at a desk in the middle of a Boyle Heights street, Mayor Eric Garcetti today signed an executive directive aimed at cutting traffic fatalities in the city to zero by 2025. The directive calls for reaching the goal, dubbed “Vision Zero,” by creating safer streets, enforcing traffic laws and conducting more public education. This Monday, I join the Bureau of Engineering and the Department of Transportation to cut the ribbon on several new improvements to the intersection of Balboa Boulevard and San Fernando Road. Improvements to the intersection include the constructed two left turn lanes, a new dedicated lane for traffic heading south onto Balboa Blvd. and a new street light and traffic signal. In 2007, we identified several projects along this Balboa Blvd corridor as being critical to mobility in Council District 12. The stretch of Balboa Boulevard between the 118 Freeway and Foothill Blvd is one of the most congested in the Valley during peak hours, with over 20,000 commuters passing through it daily. This intersection serves as an alternative for commuters traveling to and from the Santa Clarita Valley, but we feel increased impacts when there is an incident on the freeway, or during long periods of heavy freeway construction. Thank you to the City of Los Angeles’ Bureau of Engineering and Department of Transportation for helping to make these improvements a reality. These improvements will have a tremendous impact on the quality of life of local residents. The city gives its road network an average grade of C. But a Times analysis finds wide disparities, and they’re not driven by wealth or political power. 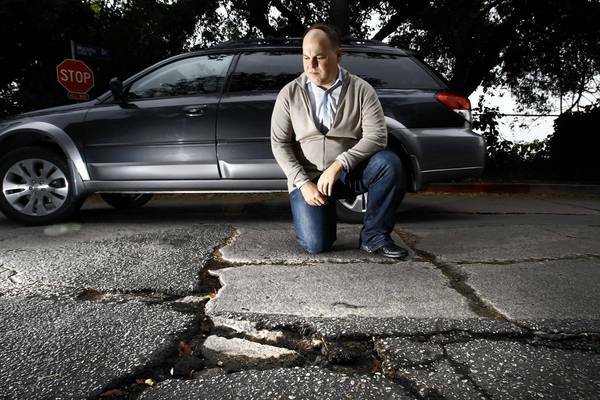 Explore pavement quality ratings for each of the 68,000 street segments in L.A., graded from A to F.
A drive along Angus Street in hilly Silver Lake requires navigating a gantlet of buckled concrete slabs and dirt-filled cracks. But on South Seabluff Drive in Playa Vista the ride is smooth, the pavement is black and you can smell the fresh asphalt. Despite the city’s best efforts to keep up with the constant flood of road repairs, Los Angeles is a city divided — by its potholes, cracks and ruts. It took a long time but the Los Angeles City Council has passed an ordinance that will dramatically increase the number of parking spaces for bikes in new developments. The Bike Parking Ordinance will allow new developments—both residential and commercial—to swap some parking spots for bikes in lieu of parking spots for cars. There are also rules standardizing bike parking space to ensure that they’re safe, secure and accessible. One car spot can be replaced by four bikes for up to 30 percent of the required number of spaces for commercial developments that are near transit lines. At other commercial buildings not near transit lines, the number is 20 percent. For buildings with less than 20 required car parking spaces, up to 4 parking spaces may be swapped for bike parking. Residential buildings can replace up to 10 percent of car spaces with bike parking. All new developments with few exceptions will need to have at least 2 parking spaces for bikes, and that can include the city’s bike corrals. The ordinance also has rules about what can and cannot be considered a parking spot. Spaces should be well-lit and easily accessible from the street. Short-term parking should be outside the building and easy to spot before you even walk in. There should be signs directing people to long-term parking, if it’s not immediately obvious where it is. For more information, you can read the full ordinance (h/t Curbed LA and Streetsblog).